Do you worry about accidentally losing or deleting important files? If so, a backup application is a great solution. 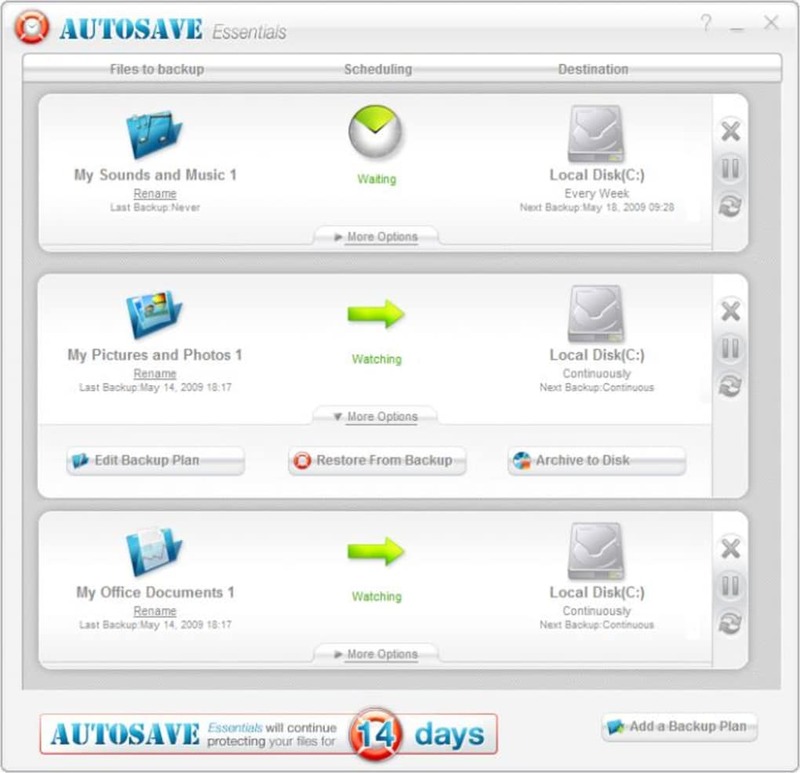 Autosave Essentials is designed to backup all your important documents automatically, on any storage device you choose. 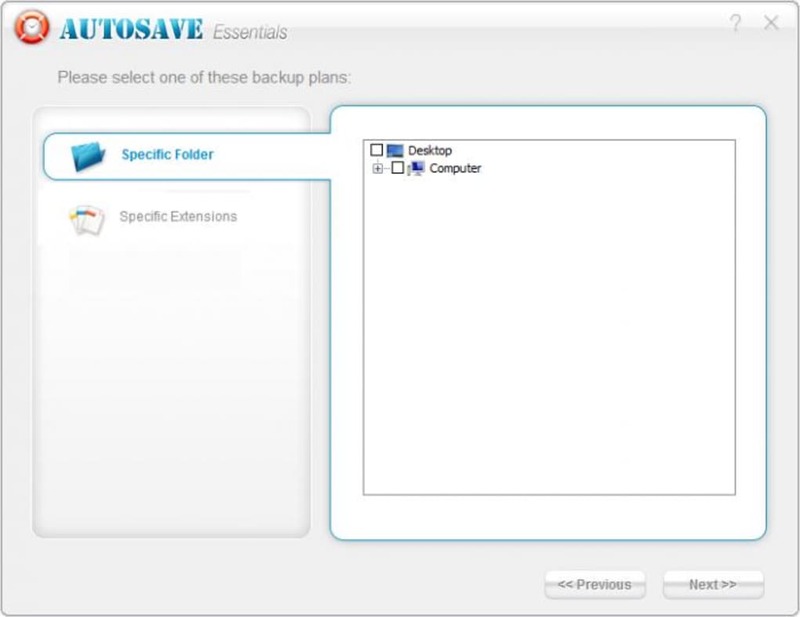 After installation you have to restart your system, and once done, Autosave Essentials will immediately start working. 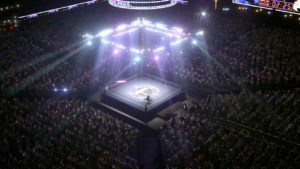 You can interrupt this to set up the program to back up what you want and where. The interface is really user friendly and attractive, ideal for novice users who might worry about doing the wrong thing! At first, there are three back up configurations ready to go - for music, photos and office documents. 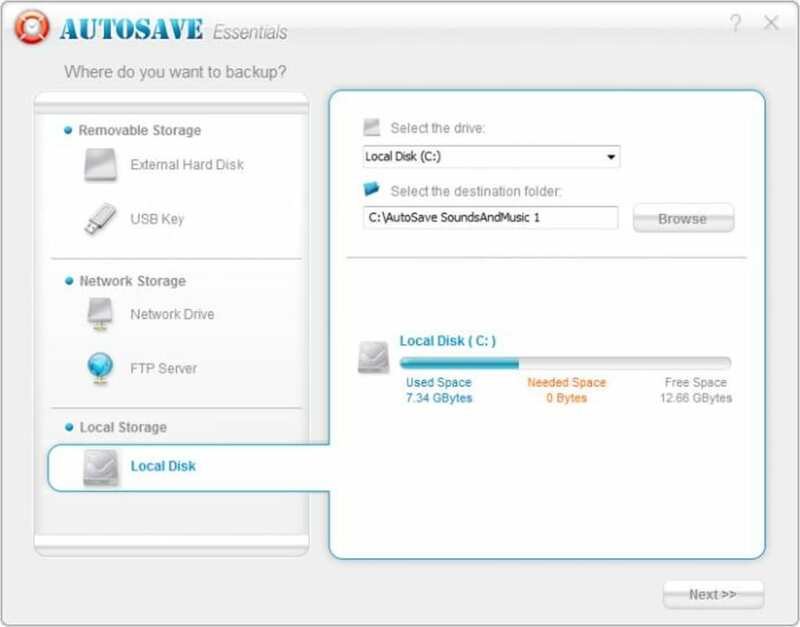 You can easily set up more back up profiles, with whatever destinations you like, from an external hard drive or USB key to a network drive or FTP server destinations. 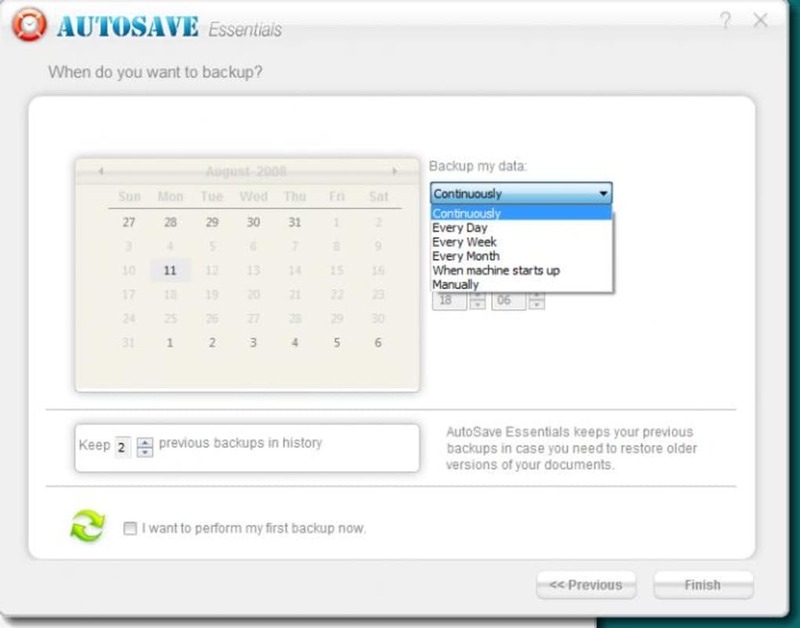 Backups can be scheduled periodically or continuously. 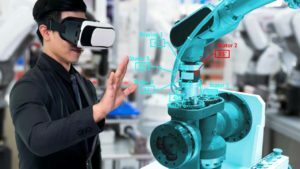 This is very much aimed at people with little computer knowledge, and more advanced users may find it a little shallow. 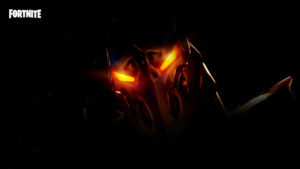 After installation on our system, for some reason it deleted our wallpaper in Vista, which is annoying! 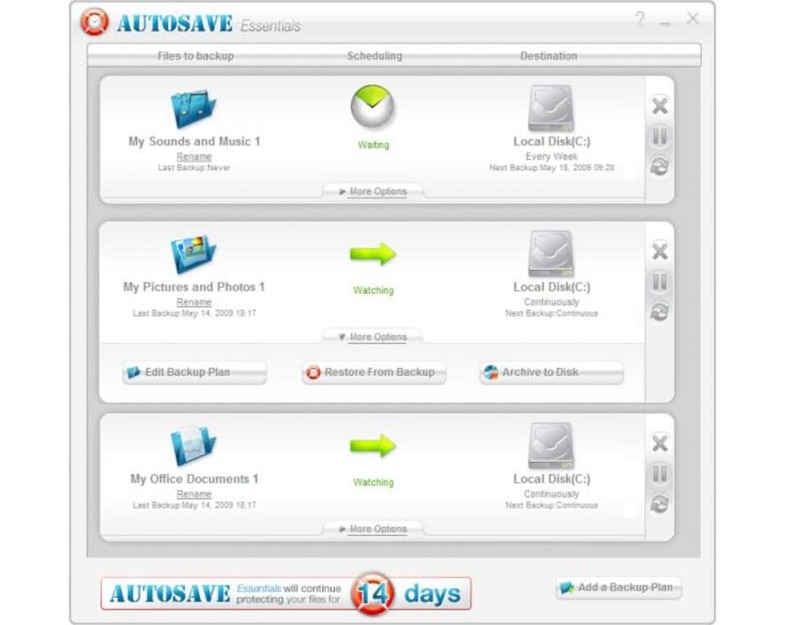 As a simple way to keep files backed up and safe, Autosave Essentials fits the bill perfectly. What do you think about Autosave Essentials? Do you recommend it? Why?